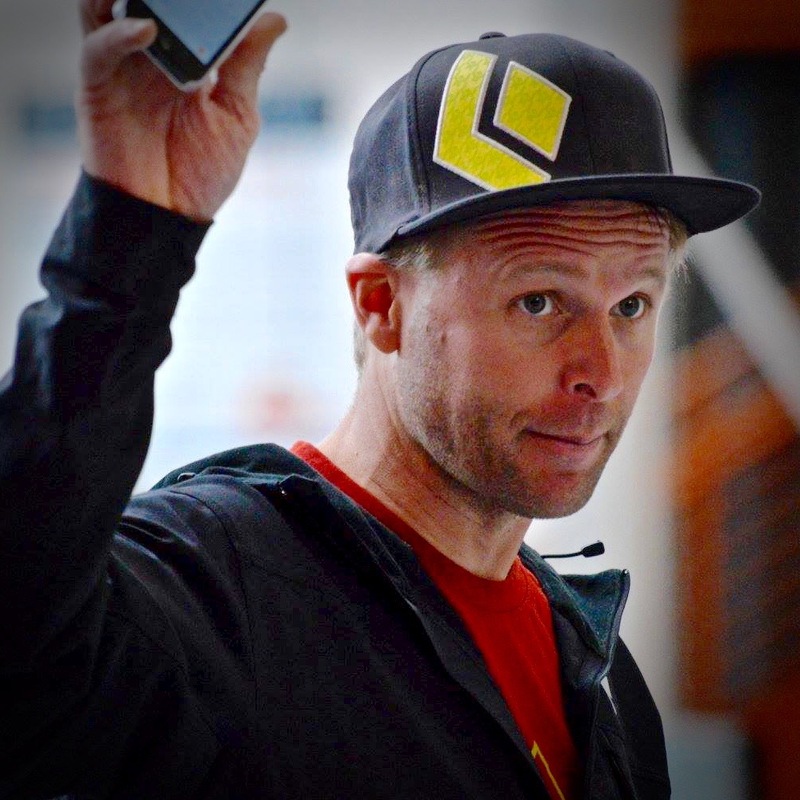 Justen Sjong is a professional climbing coach whose reputation has been growing within the climbing industry for over 20 years. He has recently joined EVO Rock + Fitness as Senior Director of Coaching and Training Development. His role will include mentoring EVO coaches, overseeing competitive programs, and head coach duties. So, Justen, when did you first start climbing? I started in the Pacific Northwest in 1992. It was the first thing I was ever labeled as ‘good’. 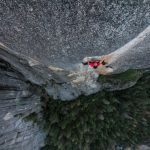 I was a self-taught trad climber and immediately got obsessed, like most climbers do. Were you bouldering during that time, as well? No this was before the bouldering phenomenon. Bouldering wasn’t cool yet; nor did it exist in the Pacific Northwest; Squamish, Leavenworth, Goldbar—bouldering in those spots weren’t established when I was living in the Seattle area. Where did you move to after Seattle? My future wife and I moved to Boulder in 1997, and I was overwhelmed with all the good weather and good climbs to be had. If you had the toughness of a Northwest climber, you had the toughness to climb here (in Colorado) year round. In Seattle, I would duct tape my Gore-Tex jacket to my arms, so rain didn’t go down my sleeves and climb aid in the pouring rain. That sounds warm. What else were you doing in Boulder? We bought a house in Louisville and I started routesetting for the Boulder Rock Club (BRC), and an opportunity to lead their youth team program was thrown in my lap—that was very exciting. 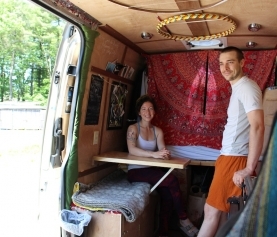 The youth program at the BRC produced Daniel Woods, Emily Harrington, and Adam Stack. Then I actually left and moved to California for five years so that I could focus on my obsession with El Cap locally. 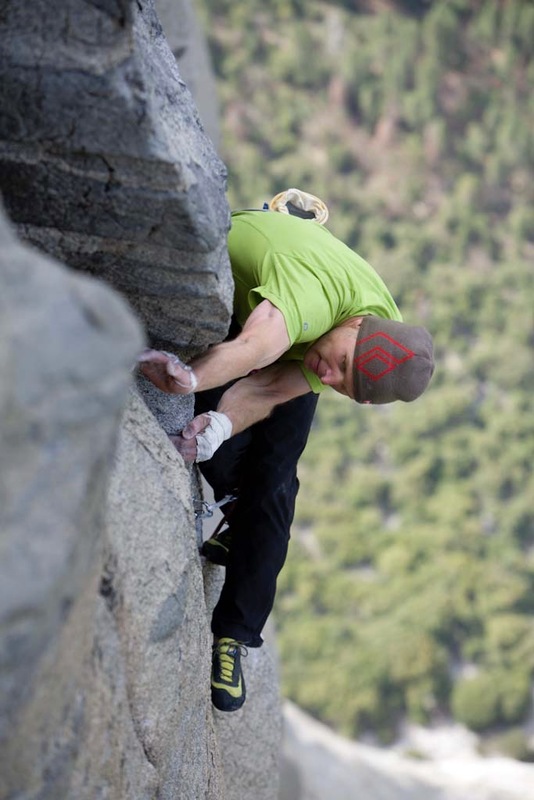 Let’s talk about the El Cap obsession. 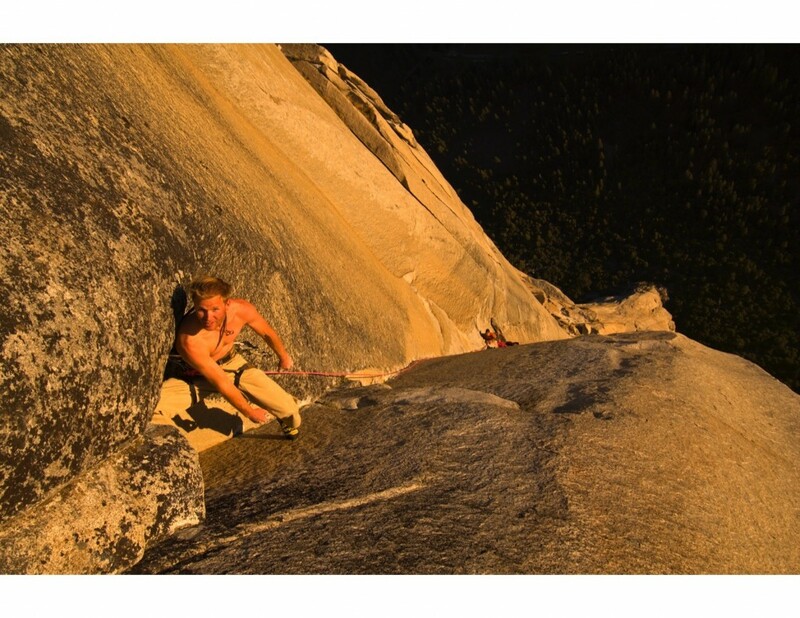 I was one of the early explorers with Tommy Caldwell on the Dawn Wall. We rapped in from the summit and explored a few options down towards Wino Tower. During that time it was near the end of my stay in the Bay Area because my wife and I were ready to start a family and we decided to ditch California to raise our kids in Colorado. I walked away with four free ascents and two first ascents. One was Magic Mushroom (28 pitch 5.13d/5/14a) with Tommy Caldwell, and another was with my prior student, Adam Stack. We ended up free climbing Salathe Wall (13.B) together. Then you moved back to CO where you’ve been living happily ever after? Louisville was kind of Loserville when we first bought our house in 1998. There were a couple of bars in Old Town in 1998 but by the time we moved back in 2007 it totally transformed. Oh yeah, Main Street is poppin’ now. What happened when you moved back to Louisville? Both my boys are adopted from Ethiopia. Yeah, so I switched my career so I could be less of a typical climber. You know climbers; very fluid with where they live and what they do. I started thinking about having a regular income, something more than minimum wage started mattering to me. That’s when I became obsessed with coaching, but that had always what I wanted to be recognized as. Even when I was younger, I wanted to see where coaching would take me. I feel like this is something I’m skilled at. My philosophy currently is that I like to understand the athlete and their personality. 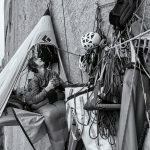 I strongly believe your climbing should reflect who you are, but often it does not, and I try to line those backup, so you’re true to yourself. I want to have a better understanding of who you are and help the athlete explore ways to express themselves. I don’t believe there’s a mold. I believe everyone has a unique skillset and I celebrate that uniqueness—and who knows where it takes them. Do you coach any level? Yes. I like working with people of all abilities because it helps me stay engaged and I like a balance between them all. I coach people all over the world. Some people travel. 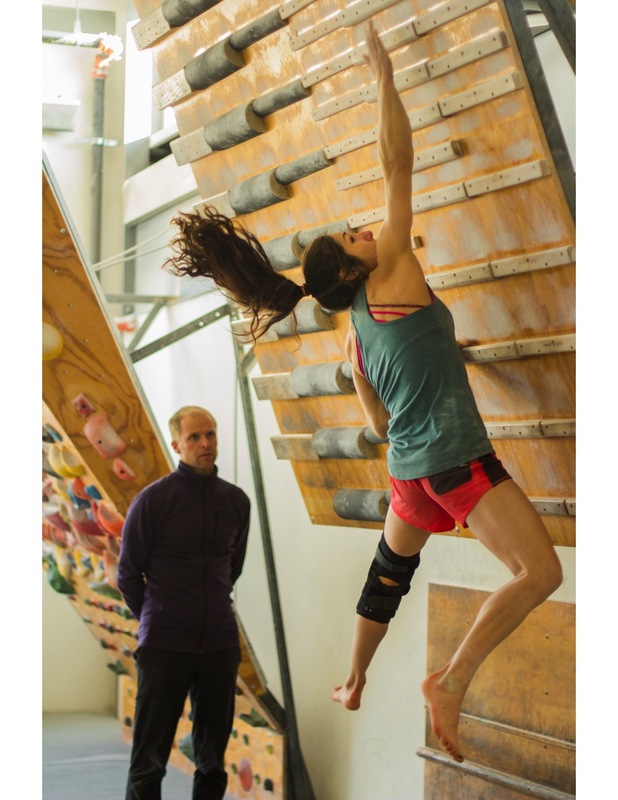 I have a client who’s an adaptive climber from Australia, I have some very intense weekend warriors that are very high level, and some are people who are brand new and figuring out how to move forward. How old is your oldest climber? My oldest regular clients are from Alaska, and they’re probably in their solid 80’s. They’re amazing athletes. I’ve worked with a number of athletes. A lot of times I don’t like to spray. I do practice discretion. Yeah but…maybe just a few? (Laughter) Alex Puccio is someone people know. I’ve also worked with Jim Collins, who has advised Oprah and The Pentagon. We have great convos. He sees how focused I am and how I’m always striving to hone my craft further and further. I’m fairly intense about that. What has climbing given you? Climbing has given me focus, direction, a sense of accomplishment, and a sense of worth. It’s given me the framework to set goals and achieve them. 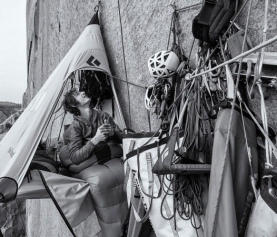 As time has led on, I believe even more strongly in my philosophy that how you approach your climbing is how you approach your life, and often we don’t know how to change our behaviors in our life, but the desire to change the way we climb can transform the choices we make. That is accurate for me. What’s your vision for working with EVO? I love at this point that I see an opportunity to hopefully have a positive impact on people. I’ve seen the climbing industry grow and grow. 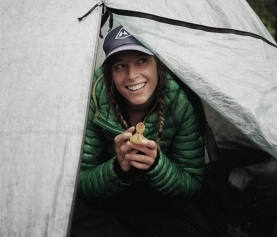 I’m excited to help shape a community where I feel safe, and others feel safe sharing ideas; where we’re thinking about the future direction of climbing because I think we’re at a pivotal point. The community needs to take ownership of the direction of climbing, not let it go wherever. I have faith in the future generation; I see it with my son’s friends at school. Acceptance has changed. What enticed you to work with EVO? EVO has this business idea that they’re always evolving and that means they’re always striving to do better. It means excitement to progress. 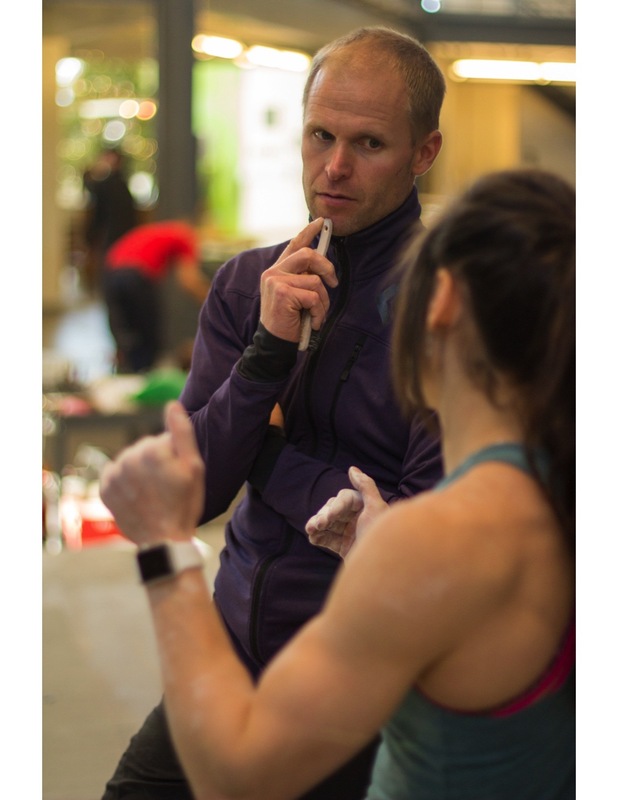 I would love to hire a number of coaches that strive to run their own programs, but I don’t believe in building an army, I believe in a program that builds amazing people, and the byproduct is amazing climbers. One last question: what do you love about Louisville? I love the fact that I can have free-range kids. I think Louisville is a great town for that, and I hope more families have the courage to do so.